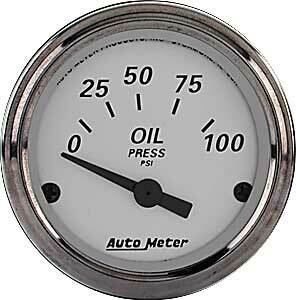 Auto Meter American Platinum Gauges have vintage-style domed lenses, black accents, aluminum faces, and black nickel bezels. Air-core meter movement offers superior accuracy. Red & green bulb covers included to change lighting.